FOOD pictures! The Food & Wine Pre-Festival Top 25! – The COMPLETE List | It's "All in WDW"
Good morning, my friends! The day has finally arrived! 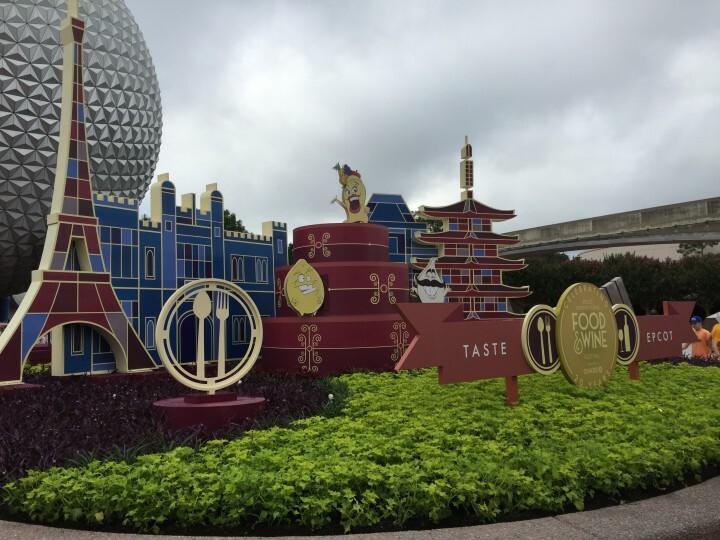 The 2015 Epcot International Food & Wine Festival is about to OFFICIALLY open! The party is about to BEGIN! Yahoo! Good thing I got some early-bird shots yesterday, eh? Did you catch them? No? Then, please click the BOLD BLUE names, below. You’ll find out what’s cookin’! A lot MORE pictures coming today, my friends! Stop back in a few hours! Keep checking in, here, at http://www.allinwdw.com. Follow me on Twitter! Or, Like the All in WDW Facebook page! That way, you’ll get up-to-the-minute pictures and reviews!